Baldness or alopecia is a very common condition where an individual loses hair. 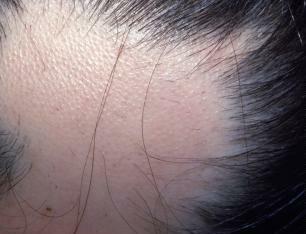 Hair loss can occur in various parts of the body, but the most common area is the scalp. Men are generally affected more but women can also suffer from this condition, often causing embarrassment. 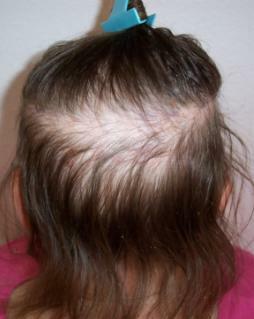 Individuals who have parents suffering from this condition will likely develop alopecia in the future. It has also been suggested that autoimmune diseases can cause alopecia, where hair follicles are being attacked by the body, causing suppression of growth. The body sends signals for T-cell lymphocytes to attach themselves to hair follicles, causing inflammation on the site and thereby suppressing hair growth. Another very common cause of alopecia is a fungal infection of the scalp or dandruff, resulting in weakened hair follicles and subsequent hair loss. It has also been found that stress can cause some people to develop hair loss or alopecia. What are the Signs and Symptoms of Alopecia? The most obvious first symptom of alopecia is the appearance of thinning patches on the scalp or other areas of the body where hairs tend to grow, which can often be accompanied by a painful tingling sensation. Another sign of alopecia is what's commonly known as "exclamation-point characteristics" of hair strands; in other words, hair strands that are distinctly narrower the closer they are to the base. How can Leech Therapy Help People With Alopecia? Leech therapy is known to increase blood circulation, therefore when therapy is applied to thinning or bald areas, the increase of blood circulation helps enhance the concentration and delivery of nutrients that assist in making hair follicles strong, thereby assisting in the promotion of hair growth. People suffering alopecia caused by fungal infections or dandruff can also benefit through the antibacterial component in the leeches saliva, which helps combat fungal infections.